The aspect of growth, progress and huge profits are the key driver and utmost concern for any business. Understandingly the approach is always to increase the size of the business. This can be done either through the organic way that is through the gradual progress or through inorganic ways, which is quick but fraught with liabilities. When it comes to inorganic mode of accelerating the growth of a business is acquisition of the assets of an undertaking or business thereof as a going concern. The transfer of the undertaking concerned as going concern is called “Slump sale”. Slump sale is one of the methods that is widely used in India for corporate restructuring where the company sells its undertaking. The main reasons of slump sale are generally undertaken in India due to following reasons. One, slump sale helps the business to improve its poor performance. Two, it helps to strengthen financial sheet of the company. Third, it helps the company to eliminate the negative synergy and facilitate strategic investment. Lastly slump sale helps to seek tax and regulatory advantage associated with it. WHAT IS SLUMP SALE ? The concept of “slump sale” was incorporated in the Income Tax Act, 1961 by the Finance Act, 1999. Section 2 (42C) of The Income Tax Act, 1961, recognises ‘Slump-sale’ as a transfer of an ‘undertaking’ i.e. a part or a unit or a division of a company, which constitutes a business activity when taken as a whole. In simpler words slump sale means transfer for entire business unit for a single consideration without assigning value to individual assets and liabilities. Under the slump sale the business is sold on a ‘ going concern basis’ that is there is going to be transfer of all assets/ liabilities, contracts, employees, etc so that the business would be able to carry on its activities as earlier. The definition of slump sale is exhaustive and only covers transfers of an undertaking as a result of sale. The term transfer has wide meaning therefore transfer is exclusively defined under Section 2(47) to include sale, exchange, relinquishment, extinguishment of right, etc. However in the legislature the term transfer is result of sale within the ambit of slump sale. Legislature has expressly not covered exchange, relinquishment, extinguishment of right, etc that would result in transfer. Similarly under the Income Tax Act, 1961 the sale of the undertaking for a lump sum consideration is regarded as a slump sale and where there is no sale or there is exchange, relinquishment, extinguishment of right, etc, the same is not considered as slump sale under the Income Tax Act, 1961. WHAT DOES ‘SALE’ MEANS UNDER SLUMP SALE ? The term ‘sale’ is not defined in the Income Tax Act, 1916. The meaning of the ‘sale’ can be taken either in its legal sense or dictionary meaning or its popular or commercial sense. The term “Sale” is defined in the Section 4 of the Sales of Goods Act, 1930 (SOGA). Sale is a contract whereby the seller transfers the property in goods to a buyer for a price. The main element of sale is that there must be at least two parties, buyer and seller. Second there must be a contract between the buyer and seller. Third there must exist a subject matter of sale i.e. a property. Fourth there should be an act of transfer of such property. Lastly the sale must be for price that is monetary consideration. The language of Section 4 of SOGA make it very clearly only transfer under a contract is regarded as ‘Sale’ that is contractual transfer is regarded as ‘ Sale’ and thus the statutory transfers or transfer affected by orders of the court or operation of law cannot be regarded as sale. In Avaya Global Connect Ltd. v ACIT (26 SOT 397) the Honorable Mumbai Tribunal held that Section 2(42C) defines slump sale that it is only a transfer as a result of sale that can be construed as slump sale. Consequently, when the transfer could not be said to be as a result of sale therefore the provision of section 2(42C) would not apply. One of the essential elements of sale is ‘Price’. Section 2 (10) of SOGA defines price as the money consideration for a sale of good. Thus money consideration becomes an essential element in the transaction of sale. When the transfer of the good or property happens without money consideration it is considered as Exchange and not sale. In CIT v R.R. RamkrishnaPillai (66 ITR 725) the Supreme Court made the clear distinction between sale and exchange. In this case, the assesse was carrying on the business and had transferred the assets of the business to a company in consideration for the allotment of the shares of that company. The issue was whether it was exchange or sale because on that basis the transaction will be identified as slump sale. The Supreme Court held that where the assets are transferred for money consideration and the liability of consideration so determined is discharged by any mode whether money or other assets then the said transaction is sake. In that case, there are in truth two transaction, one transaction of sale and the other of contract under which the shares are allotted in satisfaction of the liability to pay the price. However where the assets are transferred for a consideration of another asset other than money the said transaction is exchange. On the basis of this distinction the Supreme Court held that transfer of assets in consideration for the allotment of shares of a that company in an exchange and not sale. Therefore transfer through allotment of shares of that company is ‘exchange’ and not ‘sale’. Even if there is an undertaking that is transferred on slump basis in exchange of any asset other than money consideration then it would be an Exchange and not sale. These transactions are called ‘ Slump exchange’. Slump exchange is not taxable under Section 2 (42C) of the IT Act. In Bharat Bijlee Limited v ACIT (ITA No. 6410/Mum 2008) the assesse had transferred its lift division on a going concern basis in consideration of the allotment of certain number of debentures and preference shares of the transferee company. Such considerations are determine on a lump sum basis and are not allocable to any specific asset if the undertaking transferred. The assesse therefore contend that the said transaction is in the nature of exchange and not sale thus would not qualify as a slump sale defined under Section 2(42C). Any profit and gain arising from the slump sale in the previous year, is chargeable to income-tax as capital gains arising from the transfer of the undertaking. Where the undertaking is owned and held by the transferor for 36 months or less immediately preceding the transfer, the undertaking would be regarded as short- term capital asset and the gains taxed accordingly. In other cases, the undertaking would be regarded as a long-term capital asset even though such undertaking may have acquired certain assets that are held for less than 36 months. Apart from the insertion of Section 2(42C), the Finance Act, 1999 also inserted Section 50B to the IT Act, which laid down a special computing mechanism for the computation of capital gains on a ‘Slump-sale’ transaction. As per Section 50B, the profits or gains arising from a ‘Slump-sale’, as defined under S. 2(42C), become chargeable under the head ‘Capital Gains’. Section 50B overrides all other provision of the Income Tax Act, 1916. The profit or gain earned by the slump sale becomes chargeable under Capital Gain and it will be considered as deemed to be income of the previous year in which the transfer took place. The undertaking as a whole or division of the business that gets transferred is considered as capital asset. If there is a change in the value of the asset on the account of revaluation it is ignored. The value of the asset under the under the slump sale should be book value. There is no distinction made between depreciable assets, non- depreciable assets and stock for the purpose of calculating tax. In slump sale the entire income from slump sale is treated as a capital gain arising from single transaction. Section 50B also provides for the mechanism to compute ‘Net worth’ which is deemed to be the cost of acquisition of the undertaking being transferred for the purpose of Section 48 and 49 so as to enable the computation of capital gains. It is the aggregate value of the assets of the undertaking or division as reduced by the value of liabilities of such. In PNB Finance Ltd. v. Commissioner of Income Tax-I, New Delhi the Supreme court emphasised the position before the insertion of Section 50B of the IT Act, and held that prior to the insertion of Section 50B gains from slump transactions was neither taxable as business income under Section 41(2) nor as Capital gains under Section 45 of the Income Tax Act. The Supreme Court further emphasised that in order to attract Section 41(2), the subject matter should be depreciable assets and the consideration received should be capable of allocation between various assets. 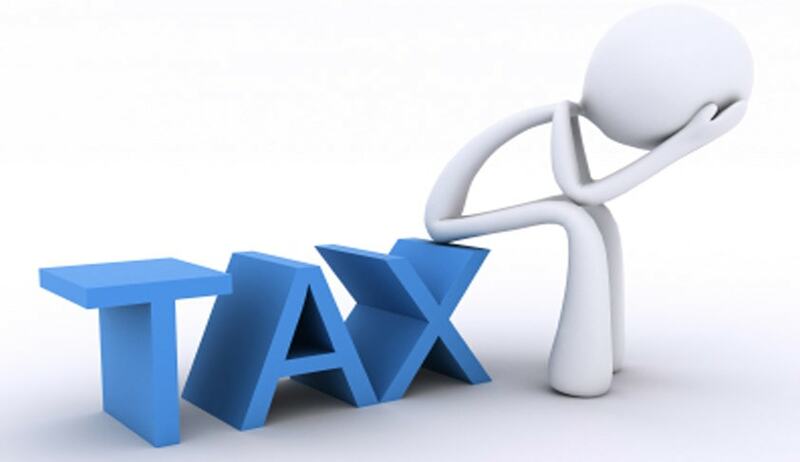 In case of a ‘Slump-sale’, there is an undertaking which gets transferred (including depreciable and non depreciable assets) and it is not possible to allocate slump price to depreciable assets, therefore, the same cannot be taxed under Section 41(2). Thus, it was held that a ‘Slump-sale’ transaction was not chargeable to capital gains tax prior to insertion of Section 50B in the IT Act. In Zuari Industries Ltd v. CIT, the ITAT held that Section 50B was introduced by the Finance Act, 1999 and though prior to this there were disputes as to whether a transfer of business or an undertaking by way of ‘Slump-sale’ constituted transfer of capital asset and whether there was any cost of acquisition of such business or undertaking or division, however after the insertion of Section 50B, it is amply clear that the profits on a transfer of such asset are chargeable to tax under the head ‘capital gains’ and the cost of acquisition for the purpose of Section 48 would be the net worth as computed under Section 50B. As per the Section 43(6) (c) (i) (c) of the Income Tax Act, 1961 the value of depreciable assets is determined as the written down value, with the book value being considered as the other assets. Any upward or downward reevaluation of assets is ignored; likewise, contingent liabilities are also ignored. However the above reduction shall be limited to the WDV of Block of assets. The law does not prescribe as to what will be the actual cost of the assets in the hand of the transferee. A logical view is that the slump consideration should be apportioned on the basis of fair market value of the assets and depreciation be allowed on such apportioned cost. In case of the value of non -depreciation of the assets, the value of the assets is taken at their Book value and in case where value of the assets in regard to which deduction is provided the value is taken as NIL. Since deduction in respect of such value is mentioned earlier. Now adding the value of such asset for the computation of net Worth gives the assessee the cascading benefits. In relation to slump sale no sales tax is payable on the transfer of a business as a going concern including transfer of whole unit or division of any business. This is based on the principle that the sale of an entire business is not the same as sale of movable good i.e. sale of entire ‘business’ cannot be equated to sale of movable goods. The judicial position is that no sales tax would be payable on the transfer of a business as a going concern, including the transfer of a whole unit or division of any business under the value-added tax laws or the local sales tax laws. This is based on the rationale that the sale of an entire business cannot be equated with the sale of movable goods, the latter being subject to sales tax only. In a scenario where only a unit or a particular branch of the target company is sold, Courts in the cases of The Deputy Commissioner of Sales Tax (Law) v. DatPathe , The Deputy Commissioner of Commercial Taxes v. K. Behanan Thomas and Lohia Machines Limited v. Commissioner of Sales tax, U.P have held that if a person is carrying on his business through different units/ branches separately identifiable from each other, the transfer of one unit/ business as a going concern having separately identifiable assets, liabilities, income and expenditure would be considered as transfer of business as a ‘going concern’ and accordingly not attract any VAT/ Sales tax liability. However, it needs to be taken into consideration that in the case of State of Tamil Nadu v. T.M.T. Drill (Private) Ltd. it has been held that a business will not be considered to be sold ‘as a whole/ going concern’ unless the entire ‘assets’ of the business are transferred. If certain assets are retained and are not transferred, the turnover resulting from such a sale/ transfer will not be exempt under the provisions of the VAT laws. In a slump sale where the transferor entity will close down its business by completing the sale, the transaction may attract VAT in some states. VAT on slump sale is applicable only where the state legislation relating to VAT explicitly provides for the same. Stamp duty in slump sale is paid only on transfer of immovable assets and no sales tax is payable on transfer of business but however VAT is attracted on such transfers only in few states. The Companies Act, 1956 (the “Companies Act”) does not define a slump sale but has included in its ambitslump sale by way of section 293(1)(a) and provides forthe procedure and approval required for selling, leasingor disposing of the whole or substantially whole of theundertaking of the public company. Pursuant to theprovision under section 293(1)(a) of the Companies Actthe Board of Directors have to obtain the consent of theshareholders through ordinary resolution passed in theGeneral Meeting for this purpose. An 'undertaking'under this section means a business unit or enterprise in which a company is engaged as gainful occupation. It means a separate and distinct functioning business unit or activity or a project which can be identified as the business unit or division. Slump sale is an attractive option for a business entity to transfer an undertaking, given to the complexities involved in the determination of costs and taxes on such arrangement for the transfer of the undertaking or on going business unit, it is prudent for the parties to negotiate and commercially agree the cost burden of each party at the very outset.